The offline sale of Bhajue Boutique at the Marketplace with Bijou Bazaar at KLue Urbanscapes 2008 turned out to be a good one (despite the heat). Familiar faces of Bijou Bazaar throngers were spotted, as well as others , perhaps including you. Yes you,reading this blog now. We are working on the pictures of the event and also updates on the latest availability of our items, so dont go anywhere, stay tuned! 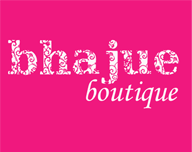 We would like to thank friends of Bhajue who came and visit us on that day. For those of you who missed it, fret not. 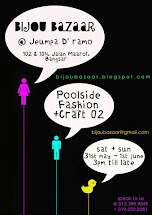 We will be appearing at the Bijou Bazaar @ Strudels Cafe Lucky Garden Bangsar, next weekends! (12th and 13th July 2008 ) Details will follow soon.